In New York, there’s a beauty store on almost every corner. We’re still #beautyexploring them all, but there’s one that we’ve become completely obsessed with: Natura Brasil. 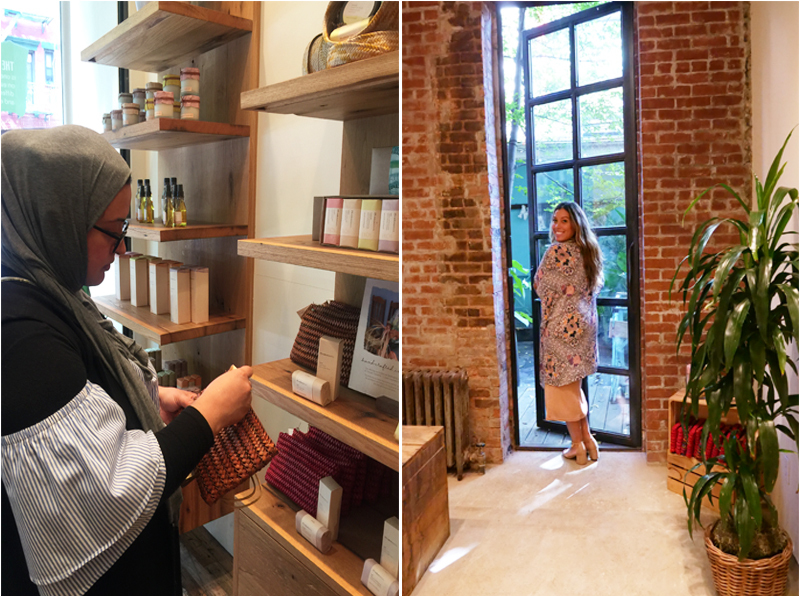 With a gorgeous flagship store located on Elizabeth Street in the heart of Nolita, Natura embodies everything we’re passionate about at Around the World Beauty. Sustainable Beauty from the Amazon? Sign us up! Not to mention, they have some of the best global beauty inspired products in the city. Since 1969, Natura’s mission has been to help build a more beautiful world through sustainably sourced products from the Amazon. 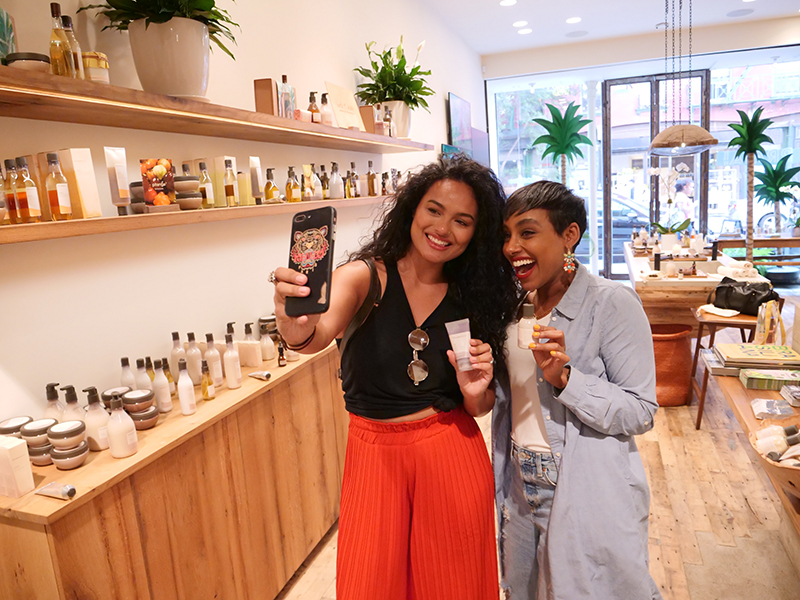 From body care, hair care, skin care, and fragrances, they have a deep commitment not only to sustainability and the environment, but to societal responsibility as well. Natura has two key programs in place in Brazil and Latin America that support social and cultural initiatives: Instituto Natura, which supports public education, and Natura Musical, which promotes Brazilian music and culture abroad. Long before it was fashionable to be sustainable and eco-friendly, Natura Brasil was committed to transparency, sustainability and well-being. What makes Natura Brasil products so unique are their powerful, Amazon-derived ingredients. Seed of UcuuBeira, Pataua, Murumuru, and Maracuja are all ingredients that may sound strange, but provide amazing moisturizing and detoxifying benefits. Natura products are also vegan, with no animal testing, and are ethically sourced to promote sustainable beauty from the Amazon to your bathroom cupboard. 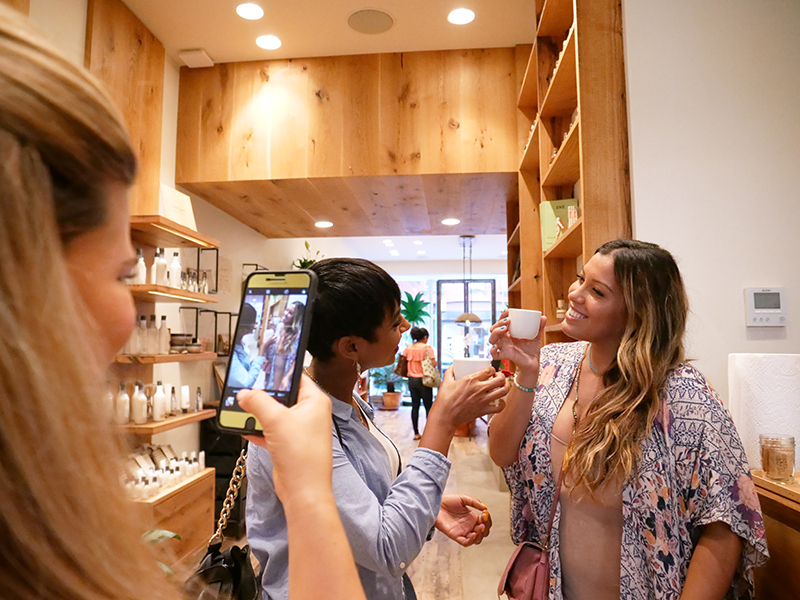 So, it was a no-brainer that we’ve teaming up with Natura for our NYC Beauty & Wellness Walking Tours. 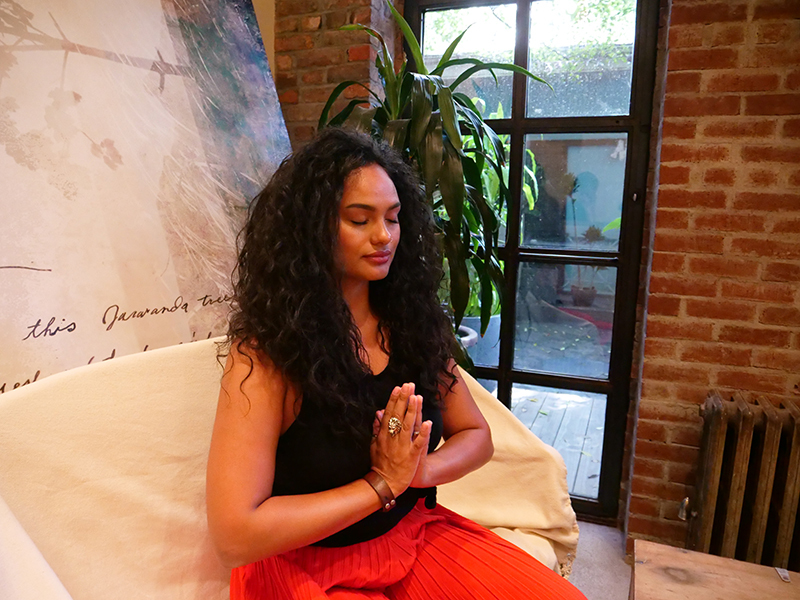 We love Natura’s giving nature, and the energy that radiates from all their amazing team. In pure Brazilian style, from the minute you arrive, you are greeted with love. On our tour stop, we begin with meditation and a hot drink, followed by a talk about their company history of sustainability practices. Next, we shop their amazing collection of products, and we’re treated to an exclusive discount code. 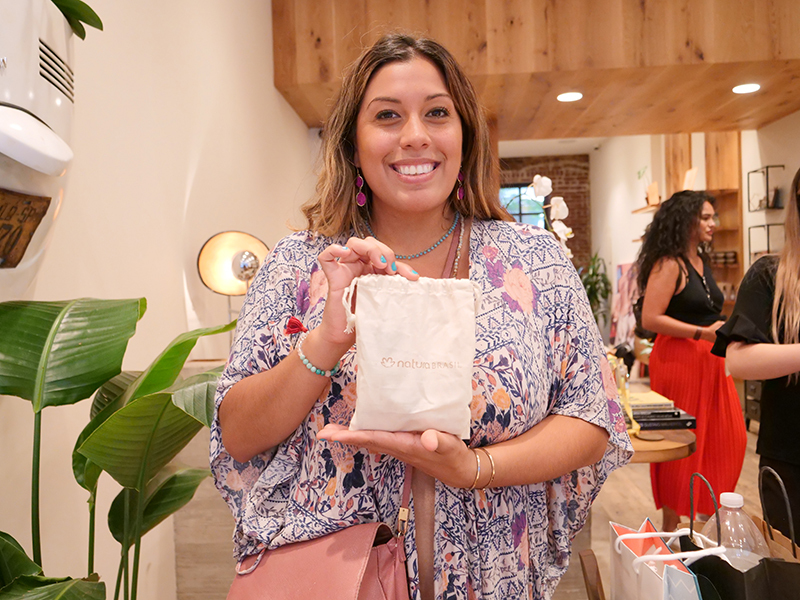 Our Beauty Walking travelers also get the cutest sample of some of their bestsellers! The fragrance set takes you on a journey through Brazil, and each fragrance is attached to a real traveler’s memory of Brazil. Inspired by these memories, each fragrance is completely unique, transporting you with the power of smell, to the sacred land of Brazil. My favorite scent is Terra, an earthy, comforting fragrance. In addition to beauty products, Natura also carries a small inventory of hand-crafted bags. If you’re looking for a one-of-a-kind gift, these are amazing finds. They’re the work of a Brazilian artists association. The women in the association are involved in every step of the making of these beautiful raffia items. They do everything from collecting the leaves, to sewing together the final creations. Beauty with a purpose is always the best gift! 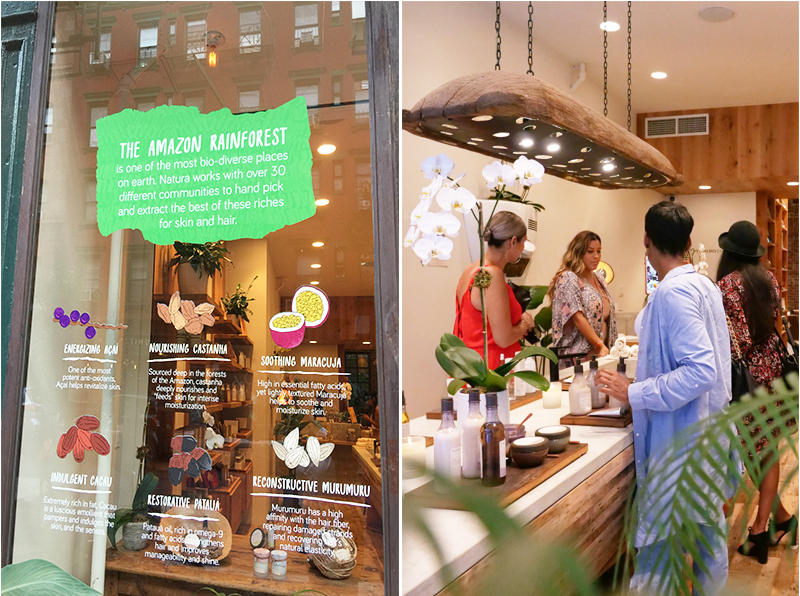 So, next time you’re in Nolita, make this your next beauty destination for sustainable beauty from the Amazon. It’s a slice of Brazil right in the heart of New York City. Check out Natura Brasil’s site to see how they source their ingredients and bring their products to life! 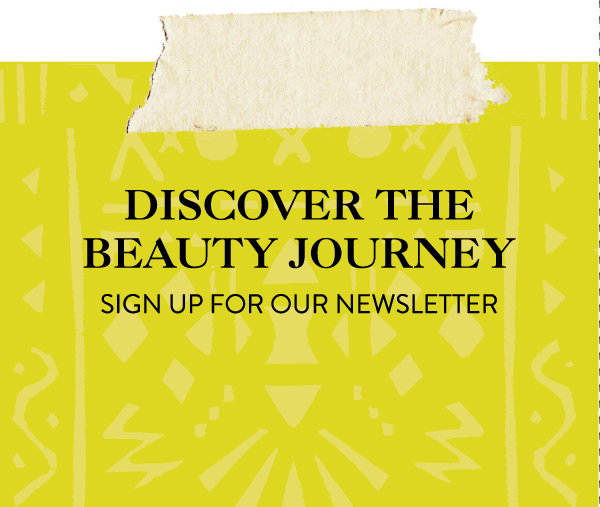 Around the World Beauty is also your resource for learning about all Amazonian & Brazilian beauty secrets. Read about our founder Stephanie’s experience with Brazilian waxing in Ipanema!